If there is one thing you can be sure of to find in a new version of Android now, it's a new set of emoji. Back with Nougat, Google redesigned the entire set with a more refined version of the gumdrop emoji that it introduced with Android 4.4 and has been altering ever since. The redesign in 7.0 made the facial expressions more in line with what Apple is doing with the iOS emoji set, which is the most popular and commonly used one at the moment. Android O goes one step further and drops the gumdrop shape entirely in favor of completely round emoji set that look even more like Apple's set. Emojipedia had an exclusive look at some of the emoji we can expect to see in the final version of Android O, including support for Emoji 5.0 that include new emoji from Unicode 10.0. The main change here is to the yellow faces, which now have a fully circular design that closely mimics the Apple and the original Unicode design. While the current gumdrops definitely have some fans, they were largely an outlier in an otherwise circular world of emoji, with everybody else sticking to the circular design. The change to a circular design should make them look more uniform with less loss in translation when sent between devices belonging to different platform or even different manufacturers within Android itself. The new designs have more shading and textures to them, with shadow effect giving them a three dimensional look that is somewhere between the more pronounced 3D look of Apple's set and something more flat like Microsoft or Twitter set. The couple of designs that are revealed look closer to Apple's set than any of the others. 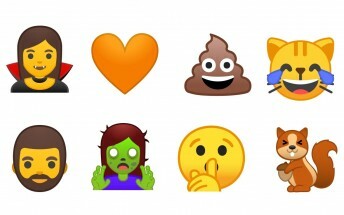 Android O also includes other redesigned emoji but the differences here don't seem stark, at least in the few that are available to us right now. 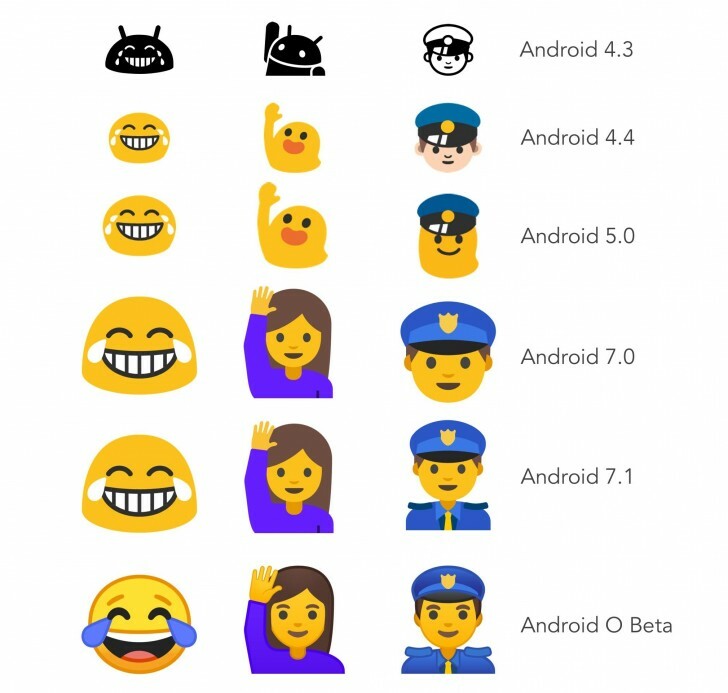 What is cool, however, is that Android O will have Unicode 10 support, so emoji like Face with Hand Over Mouth, Starstruck, and Vomiting will be available, possibly before anybody else. Another interesting thing that Google is introducing with Android O is the Emoji Compat support library for app developers, that will let them include the library within their app so that the developer can ensure their app will always be able to display all the latest emoji that may be available in a newer version of Android. This means you will no longer have to wait for your phone to get that new Android update to get all the new emoji in your favorite messenger app, provided the app developer has implemented this library.